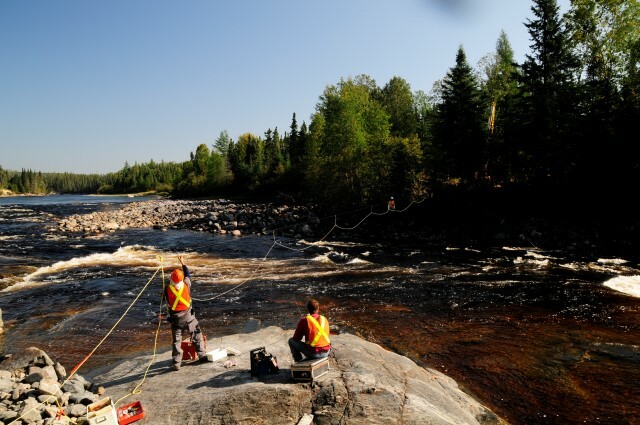 Geophysics GPR has extensive experience with regards to surveys for proposed and existing dams. During preliminary stages of hydropower projects, seismic surveys are essential to optimize infrastructure planning and design. 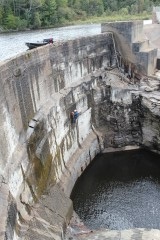 The rock profile can indeed be mapped along the abutments and to the vertical of the dam alignment even though it may be under white water at the time of investigation. 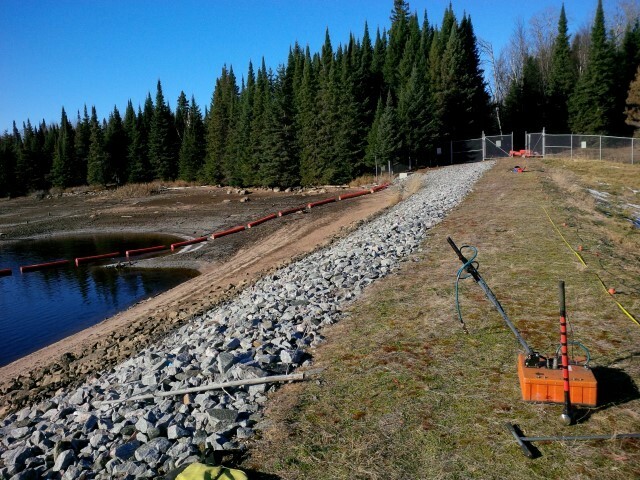 For existing dams, geophysics is regularly used to inspect concrete, to map voids and to assess the quality of construction and structural condition. 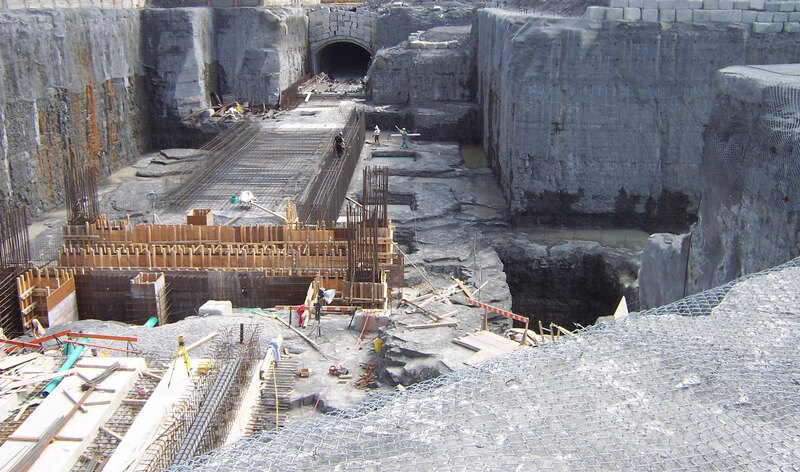 The inspection of the interior of dams can be a sensitive subject when problems are suspected or become apparent at the exterior (subsidence, channelling, alkali-granular reactions, etc.). The use of different complementary geophysical techniques enables the collection of a large quantity of useful information concerning the state of the structures. The information acquired through the use of geophysical means is complementary to conventional drilling techniques and allows us to extend the information in a continuous fashion. Marine geophysics can also provide bathymetry, assess the condition of riprap, identify the thickness and nature of the sediments, inspect the submerged portion of riprap, map the underwater geology by acoustic imaging, ground-penetrating radar or investigate underwater sediment using acoustic profiling.